Contamination of soil due to leaks, spills and seepage is a worldwide problem usually diagnosed by costly and time consuming methods primarily using wet chemistry. Typically, Total Petroleum Hydrocarbon (TPH) measurements are used. 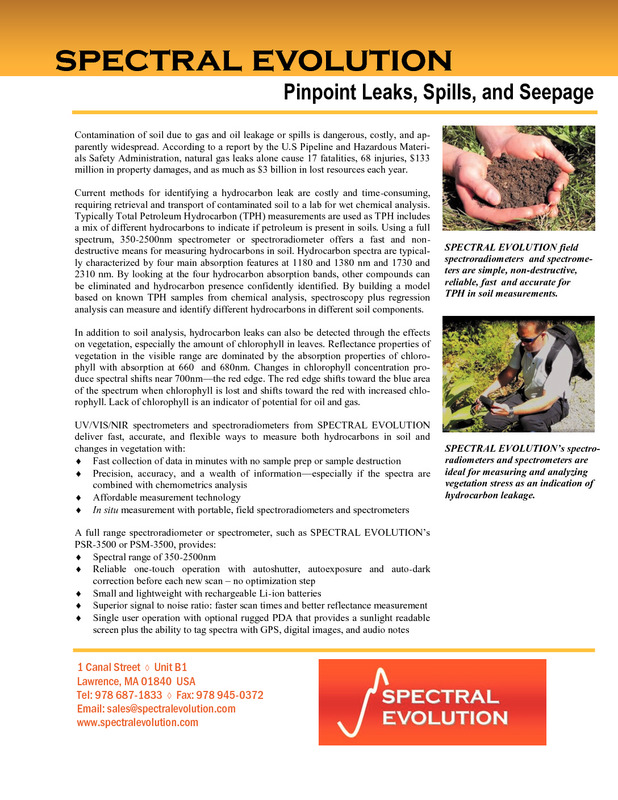 Using a field portable spectrometer or spectroradiometer to measure TPH in soil is fast and non-destructive. 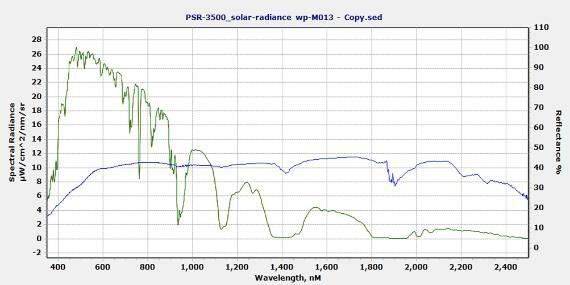 The scan can be made in the field covering a full 350-2500nm spectrum and the results displayed on a handheld tablet or laptop, Hydrocarbon spectra are usually characterized by four main absorption features at 1180 and 1380nm and 1730 and 2310nm. By looking at these bands, other compounds can be eliminated and the presence of hydrocarbons verified. 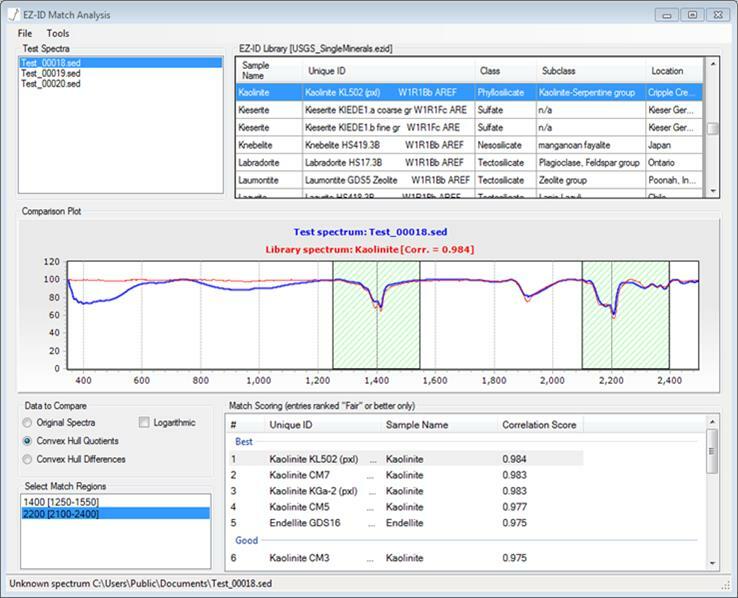 In addition, by building a model based on known TPH samples from chemical analyses, spectroscopy can be combined with regression analysis to measure and identify different species of hydrocarbons in different soil components. Scanning and analyzing vegetation chlorophyll can also be used to identify when vegetation shifts toward the “red edge” at 700nm and chlorophyll is lost. This is another indicator of potential oil and gas seepage. Underground pipelines, refineries, storage tanks – all are potential sites for leaks, spills and seepage. 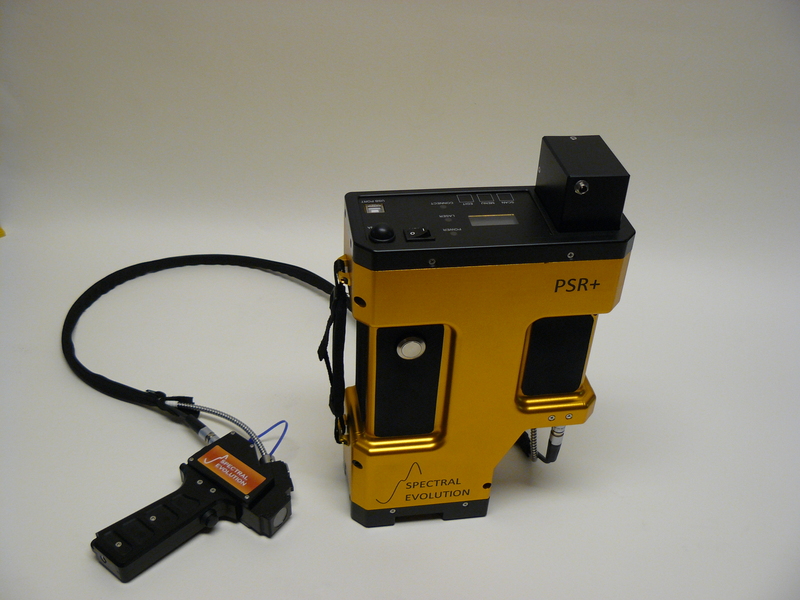 The PSR+ 3500 can help researchers bring the power and non-destructive measurement capabilities of spectroscopy to bear on the search for contamination with fast and accurate measurement of TPH indicators. 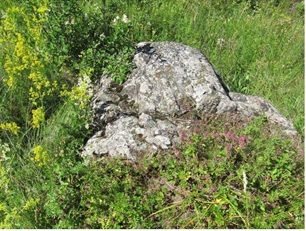 Soil samples were scanned using a PSR+ spectroradiometer with EZ-ID mineral identification software and the SpecMIN mineral spectra library. Clay mineral alteration of smectite to kaolinite can be an indicator of hydrocarbon presence in soil. Soil scans can provide critical information on TPH content associated with potential leaks and spillage.